Editor’s Note: Several months ago, we stumbled upon Barry Hatton’s book, “The Portuguese: A Modern History,” and found ourselves captivated. Very few books cover Portuguese culture and history in English, and of those that do, even fewer bring to the light the incredible successes and struggles that plague the nation. As an AP reporter, and someone married to a Portuguese woman, Barry had a unique view worthy of sharing. But rather than your everyday interview, we chose instead to ask Barry to tell us what he felt were the top 5 historical events, listed by date, that helped to shape Portuguese culture. We hope you enjoy Barry’s take on Portugal. And if you haven’t make sure to check out his book to go even deeper. It’s an observation you often hear from Portuguese, spoken as a justification: “We’re a small country.” It is supposed to explain why Portugal has trouble competing with the rest of the world. The idea it conveys is that Portugal is doomed from outset, that the deck is stacked against the Portuguese by geography. If you have ever wondered where that tone of doom and gloom comes from, here’s one clue: Arab fatalism. The North African Moors defeated the Visigoths at the Battle of Guadalete, now in southern Spain, in the early 8th century and gradually took over most of the peninsula. They weren’t pushed out of the Algarve until the 13th century. The legacy of that Arab blood can also be detected in Fado’s sometimes melancholy mood. Of course, in this country of sometimes baffling contradictions, it has to be noted that during the Age of Expansion the Portuguese – when there were far fewer of them than there are now – were anything but maudlin. In fact, their drive and ambition were so strong that other Europeans thought them unseemly. So size doesn’t matter. Spirit and self-belief do! The arrival of the Inquisition, like the rule of Antonio Salazar many years later, taught the Portuguese a lesson: Don’t step out of line, don’t take chances, stay low. That kind of violent conformity crushes the life out of free thought and action. Still nowadays, Portuguese angered by wrongdoing are often reluctant to speak out in specific terms, to name names in public. Vague generalizations are safer. There is nothing odd about the public delight and joyful reception given to new president Marcelo Rebelo de Sousa. There’s a sense of relief when people feel a leader understands them and speaks to them from the heart. The Portuguese commonly describe their political leaders as distant and uninterested in the well-being of the povo, especially those living outside the capital. It’s an old complaint. Between the 12th and 17th centuries, occasional assemblies – called cortes – were held and brought together the monarch and landed nobles and clergy, and sometimes included delegates from municipalities. The last time the cortes were convened was in 1698. Portugal’s modern-day macrocephaly, with Lisbon taking an outsize role, only increases the distance between the governed and the government. Thank you Barry for your thoughts! For the rest of you, let us know what you think. Did Barry miss any key dates you think are key to understanding the Portuguese? What do you feel were the major events that influenced the Portuguese to become who they are today? 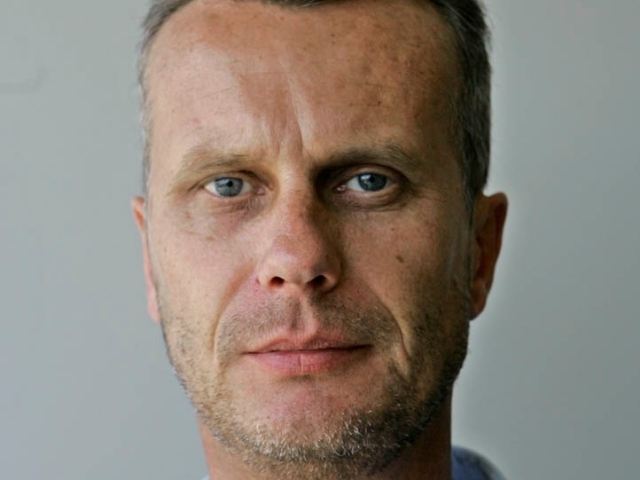 Barry Hatton has been a British foreign correspondent in Lisbon for almost 30 years, working since 1997 for The Associated Press. He is the author of “The Portuguese: A Modern History” (Signal Books, Oxford, 2011), translated as “Os Portugueses” (Clube do Autor, Lisboa, 2011). He also co-authored, in Portuguese, the first biography of Portugal’s only ever woman prime minister, Maria de Lourdes Pintasilgo, “Uma História para o Futuro” (Tribuna da História, 2007). Recently, he has entertained himself by co-writing crime novels set partly in Portugal: “Lisbon Water Kills” (2014) and “The Cocaine Revenge” (2015). He is currently working on a book about Lisbon.